SUSU is rolling out a series of free training events aimed at building the skills you need to succeed in a student leadership role. 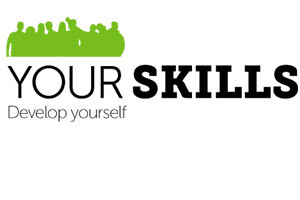 The programme, called Your Skills, is a selection of fun and informal workshops that you can book in to, to help you develop in the areas where you would like to be stronger. With such diverse training schemes as ‘Don’t Worry Be Happy (Stress Management), Express Yourself (Communication & Interpersonal Skills) and Pushy or Pushover (Assertiveness Skills) SUSU is set to give you the leg up you need to navigate your way to success. The sessions will be run by current SUSU staff that love nothing more than passing on their knowledge to help others and will be available across the year. Spaces are limited, so go to www.susu.org/your-skills and check out what courses are available and book your place! However you choose to get involved, whether it’s as Picnic Soc’s treasurer, Union Councillor, or JCR president, you can grow the skills you need to really excel with Your Skills. « Freshers’ 2013 is here!